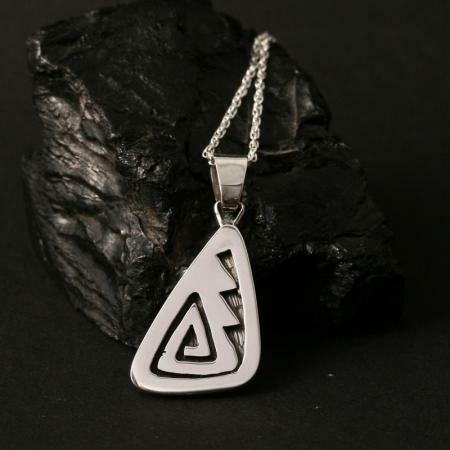 This Hopi pendant is a fine example of sterling silver overlay. The geometric and swirling lines of the design are symbolic of water. Water is life. This silver Hopi pendant measures 32mm in length including the sterling silver bale and hangs on a 46cm sterling silver chain. 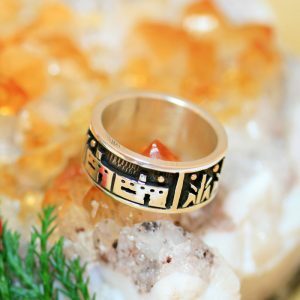 Jewellery designer and maker Anthony Honahnie is an elder of the Hopi tribe, who live in the Arizona desert. 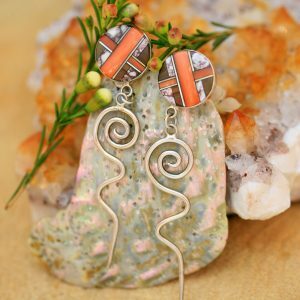 This Hopi overlay pendant is a fine example of sterling silver overlay. The geometric and swirling lines of the design are symbolic of water. Water is life. This silver Hopi pendant measures 32mm in length including the sterling silver bale and hangs on a 46cm sterling silver chain. 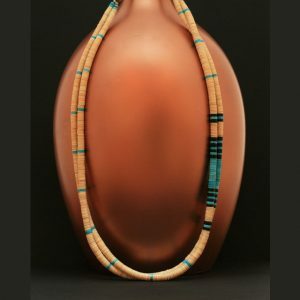 Jewellery designer and maker Anthony Honahnie is an elder of the Hopi tribe, who live in the Arizona desert.